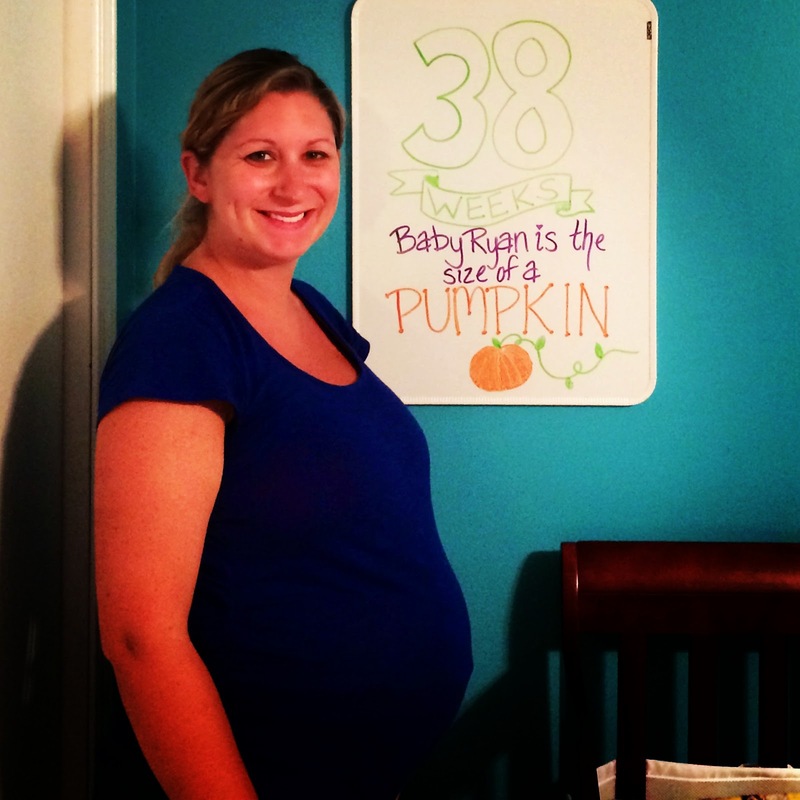 Little Ryan Family: 38 Weeks! Sleep: OK, I wake up about every 2 hours to use the restroom. It will be nice to have control of my bladder again soon. Miss anything: Being able to move around! It's hard to get up off the couch these days! Movement: Lots of movement! She was moving like crazy during the sonogram. It is so weird when she moves because my stomach shifts around. It's a little freaky! Cravings: Milk, blueberry bagels with strawberry cream cheese, nachos and pineapple! Looking forward to: Meeting our precious baby girl!!! This week I was dilated 3 cm and 75% effaced. My doctor is out of town now for the next week so hopefully our little girl will wait until she gets back before making her grand entrance! You were in an accident??? Glad you all are ok!